07.27.2009 - Remediation Products, Inc.
As Remediation Products, Inc. (RPI) enters its eighth year, we’re taking a big leap into the future. This will be the first of many newsletters designed to keep the environmental community up to date on the cool projects we supply with Trap and Treat® products. 2009 has already been a productive and busy year. Our recently refurbished website launched in early April, and a TV segment featuring BOS 100® and BOS 200® products is currently airing nationwide on The Economic Report with Greg Gumbel. Click here to watch the segment on YouTube. 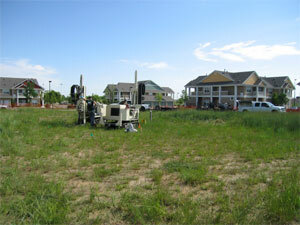 In addition, we’ve had great news about our recent work at the Lowry AFB Redevelopment in Denver, Colorado. With the help of BOS 200®, Lowry was able to obtain a NFA (no further action) letter at a hydrocarbon site, and used BOS 100® to impressive effect on a carbon tetrachloride clean-up at Wetlands Park. For more information about our success at Lowry, click here, or visit http://www.lowryafbcleanup.com/lowrynfa.html for third-party validation and a summary of the project. As ever, we strive to provide environmental remediation that actually works. Please contact us if you’d like more information, or if you’d like to be excluded from this list.